Door Art Of The Month Award! Yesterday, 31 December 2006 saw eight bombs detonated around the city. Six of these were detonated at about 06:30 p.m. in what was apparently a well coordinated effort to bring mayhem to this Capitol city. There are reports of 3 dead and perhaps three dozen injured. Two other bombs were detonated later in the Pratu Nam area at around midnight - bringing the total number of explosions to eight. Further injuries were reported in one of those explosions. To date, no one has claimed responsibility. However, in keeping with one of Thailand's most revered traditions, scape-goating, the fingers are pointing in all directions. While the current mi litary regime is saying they are keeping all possibilities on the table, their supporters are openly accusing ousted Prime Mi nister Tha ksin's supporters. The exiled Tha ksin's spokespersons, however, are accusing the Southern sepa ratists. One finger is even currently pointing to ex-Pri me Minister Chawalit Yongchaiyuth, who, it is said, was miffed at not getting more party representation in the last round of political appointments. As we mentioned, many straws are being grasped-at. There is, however, another darker possibility : the Nati onal Po lice themselves. The Nati onal Po lice were, as you may recall, co-conspirators in the recent co up d'e tat which ousted the now exiled Benevolent Autocrat. However, it was recently revealed that plans are in the works to overhaul the Nat ional Po lice's oft-called-into-question structure from the ground up. As one of Tha iland's two Institutional 'Ma fias', it is highly likely this is causing grevious angst amongst the upper ranks of the Men In Tan. One compelling bit of evidence in support of this is the identification of the high-ex pl osive M 4, found to be an ingredient of the bombs. In that it is a carefully controlled substance; the number of likely suspects tends to shrink greatly. We, however, emphasize at this juncture that there is no conclusive evidence pointing to any of the factions mentioned, or unmentioned. As at this writing, there are no 'favorites' among the suspects, although each faction is claiming it has the inside track on the perpetrators. But in spite of the annual New Year's Eve "count down" being rescheduled to earlier hours at Central World, and the now-traditional New Year's fireworks display at Sanam Luang being cancelled, the bulk of Bangkok's Night Entertainment Industry continued on with New Year's festivities. 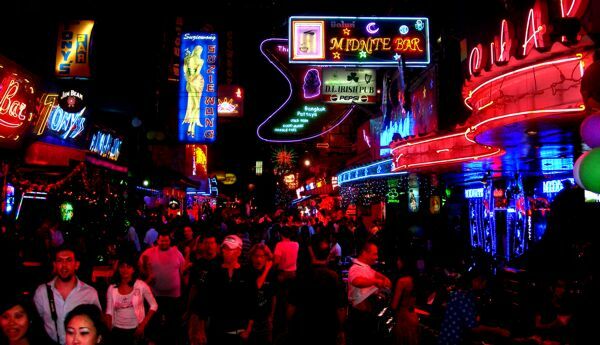 MIDNITE HOUR visited all the major expat Night Entertainment Areas in Bangkok between 01:00 a.m. and 02:00 a.m. last night to assess the effect of the bombings on Bangkok's Night Scene. We found that all bar areas were still open. and the New Year's festivities were proceeding - sometimes oblivious to the news of the bom bings. Below are photos snapped by our staff at MIDNITE HOUR - all taken between 01:00 - 02:00 a.m., 01 January 2007. 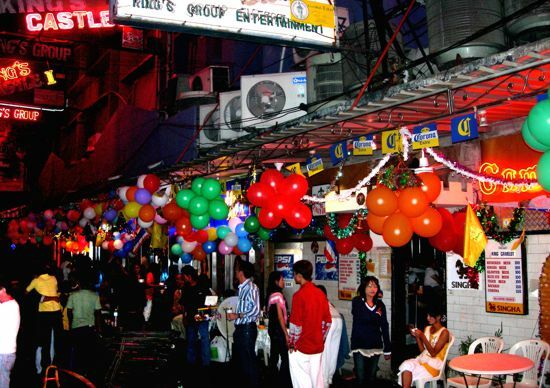 Mr D: Do you think is possible for a girl to work as a bar girl in a Bangkok beer garden without having an ID card? MH: Yes, it is possible - depending on the discretion of the Bar Beer / Beer Garden owners. Normally girls working in Bar Beer / Beer Gardens do so on a freelance basis - that is, they are not formally employed, and do not receive a salary, so things can get quite lax. 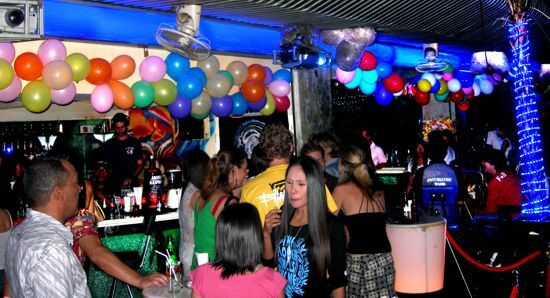 You can often meet under-18s in bar beers or beer gardens who don't want to show their IDs, or you can occasionally meet a Burmese girl, or a northern hill tribe girl who won't have an ID. The only worry is if there is a (very rare) po lice check, where they risk apprehension and paying a police bribe. In any case, an ID card doesn't mean much, unless you need to have her show it to get her into your hotel. Oftentimes girls will borrow a cousin's or an older sister's ID if, for example, they are under 18 and want to go to work. So unless you can read Thai and be sure she doesn't look like the tiny photo on the ID (taken years ago), there is no point in being overly concerned about it. There are many such similar manipulations with ID cards. Mr D: Do short time hotels ask to see a girl's ID card when she goes there with a customer? MH: Normally short-time hotels will not ask for ID from either party (it would be the exception if they did). You typically don't go to reception, you just walk to the room, the "curtain boy" will take your money up front, try to sell you condoms and beer, then the room is yours for a couple of hours. Quite a few of the 3 star hotels also permit guests without ID checks, but sometimes limiting visits to no later than midnight. Other 3 star hotels do check. Guest policies vary quite a bit. It is worthwhile checking around for a hotel that is convenient for you AND that has a lenient guest policy. The 5 star hotels almost always need to see, or keep, the ID card - often charging you extra for the double occupancy. 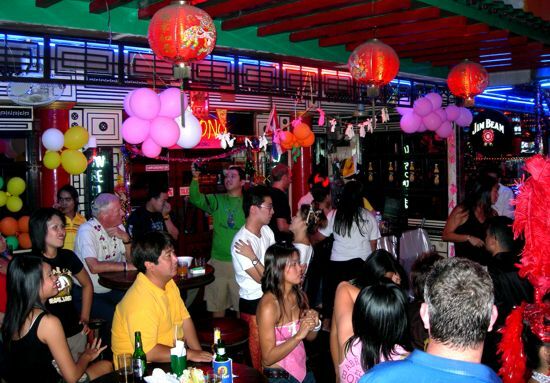 This month the MIDNITE HOUR awards the "Thai Smile" to an outdoor dancer on Soi Eden. Say what? 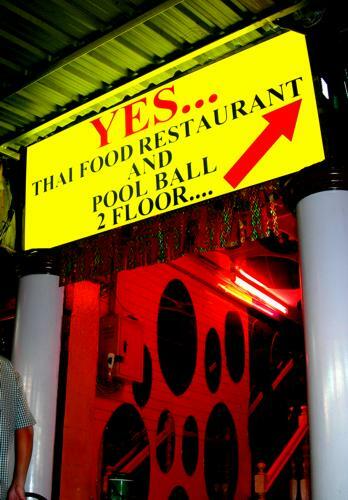 Last month we noted that the Thaifood Restaurant & Pool Ball hadn't closed, but had taken their old sign down in preparation for putting up a new one. 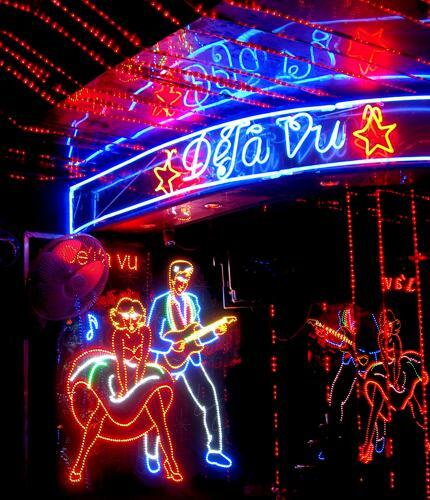 This month - as promised - they have the new neon up, along with a name change to Yes... . So if only a formality for the historical record, let's re-welcome Yes... to these streets of shame. 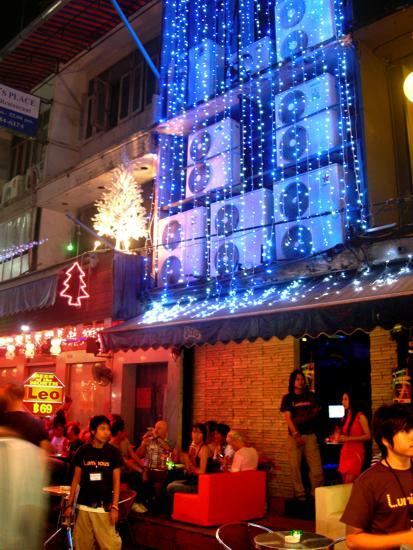 The second storey Lipstick Pub has called it a night - as least as far as Patpong I is concerned. 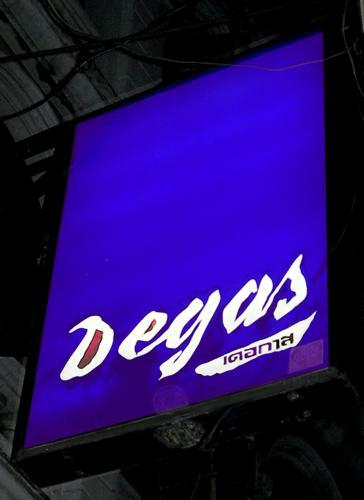 They originally opened in May of 2004 in the old Lipstick A Go-Go / Show Bar (which closed in December 2002). 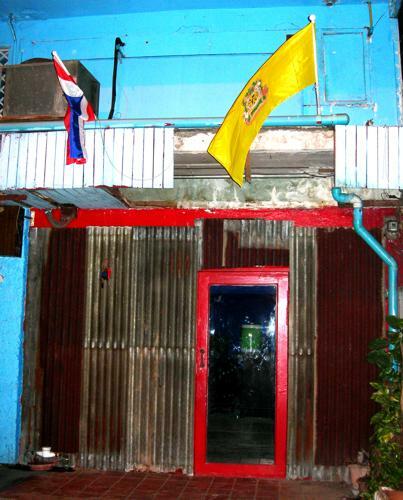 Door touts on the ground there indicate that they have moved to Suriwong Soi 6 ....or thereabouts. 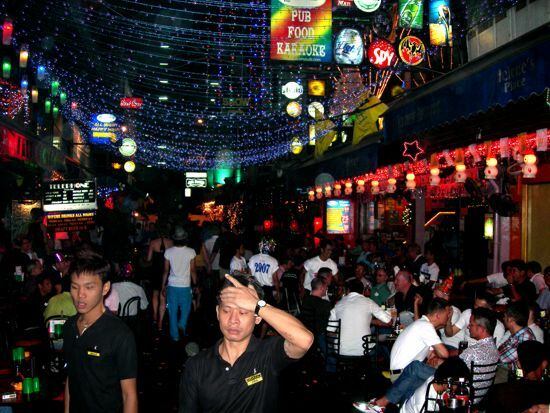 We understand they will be happier there, being among other gay bars. The Queen's Castle III has apparently settled their differences with the Sign Gestapos - they have taken their non-sign, Show Girls, down and replaced it with the old neon. All else remains same-same. What went around, came around. 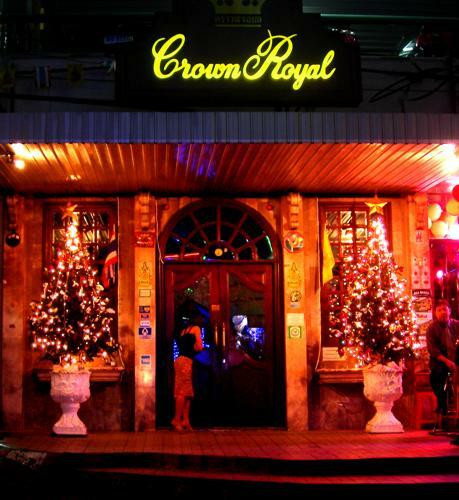 The Crown Royal knows how to get up for the holidays - high praise for the Christmassiest bar on the Pongs. The DC. 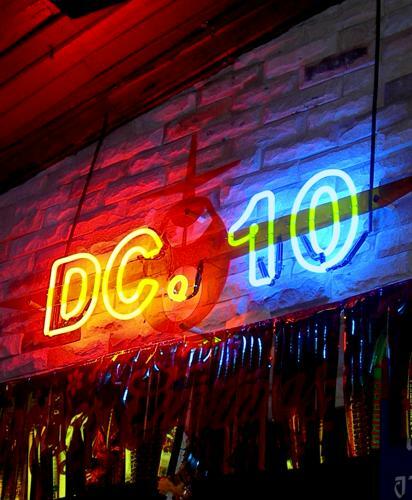 10 has had a face lift, which included nailing up a brand new neon shingle. We wish them constancy. You can't tell us the authorities don't know about this. 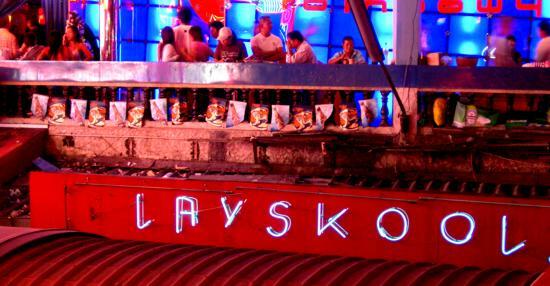 But seriously, the Playskool neon seems to be typical of the state of repair of signage in Nana Plaza lately - and we can no longer blame the rainy weather for short circuits, etc. And while we are on the subject, looking down from either of the above levels, Nana Plaza looks like a sanitary fill - get your act together, gents. 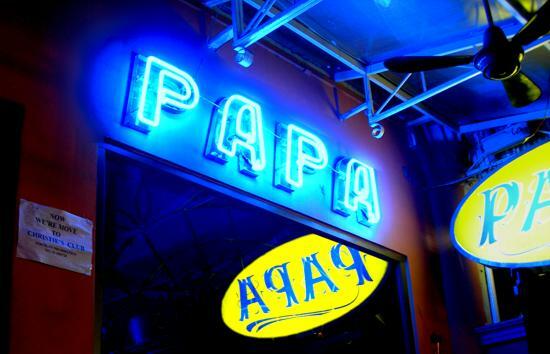 This is the second closing of the Papa lounge. The fortunes of the Christie Group seem to constantly be in flux. The small sign in the photo notes that the girls have moved over to Christie's Club - approximately across the street. We bid them farewell; the Darwinian Imperative plays no favorites. The Degas was late in opening - instead of the first of the month, they opened a week late. So to keep the historical record accurate, we will officially welcome them back to the neon jungle this month. 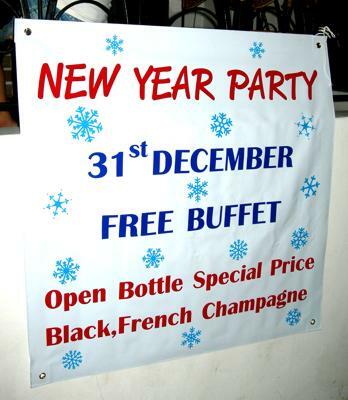 The lower photo, typical of most of the bars and lounges in Bangkok, advertises fun, food and games for New Year's Eve. 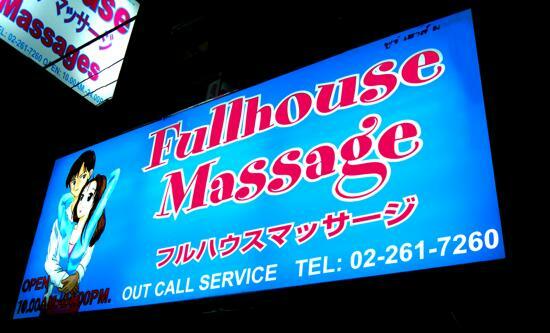 The Fullhouse Massage has moved into the old Baan Khon Thai Massage on Soi Pan Pan (Soi 1). 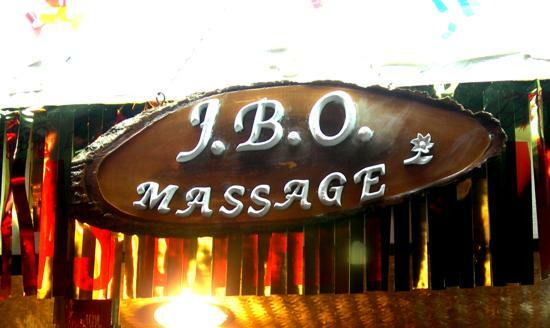 Their specialty is oil massage, but they offer the gamut.  You can expect the normal amount of ambiguosity regarding the scope of services. Welcome them to the dogfight. 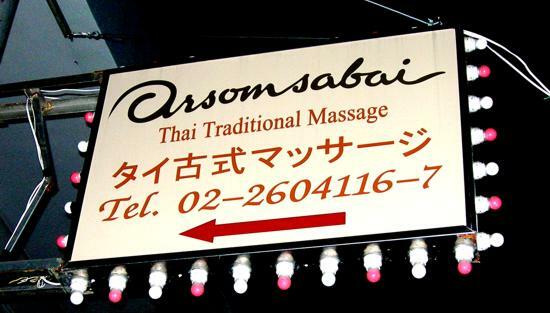 The Arsom Sabai Thai Traditional Massage looked darker than a poisoned well when we walked past the other night. There are no mysteries - when you are charging almost double for a traditional massage, and are located at the back of a very far sub-soi, it would seem fairly intuitive that customers would be hard to come by - let alone repeat customers. One has to wonder what people such as these are doing for a business plan. Let's hope their next roll of the dice works out more favorably. 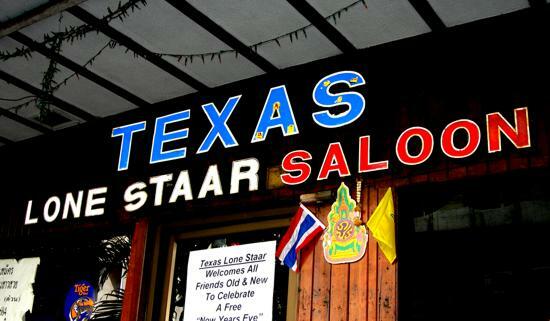 The Texas Lone Staar Saloon has, over recent years, slowly gathered about itself a reputation for promoting local and 'touring' talent, be it musical or literary. 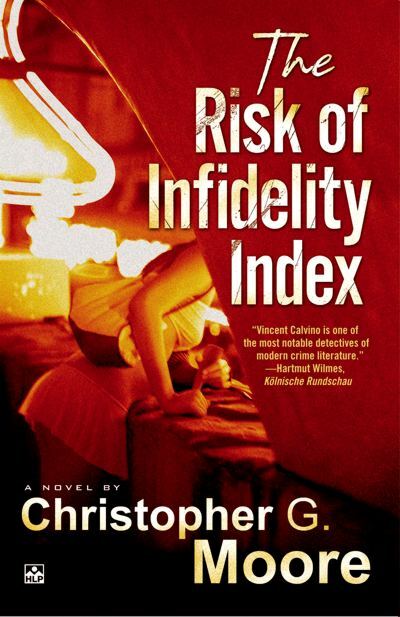 Coming up on the 20th January 2007 at 2.30 p.m., Christopher G. Moore will be launching his most recent book in the Vincent Calvino series, The Risk Of Infidelity Index. As is typical of such gatherings, you can 'meet the author' and pick up a signed copy - or just have a couple of beers with your meal (free food - you buy the beer). Can't beat that with a stick. 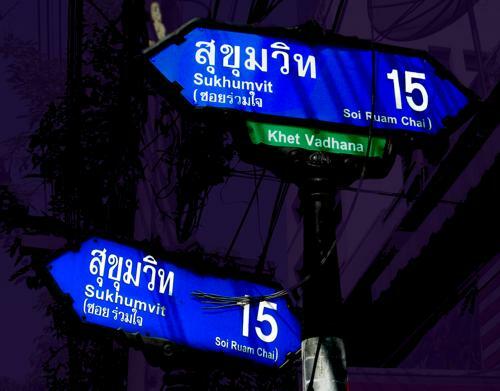 Last month, thinking we were entirely on top of things, we ran an article on the decline of Soi Katoey. Looks like we were wrong yet again. Opening this month in the old XcentriX digs is the Zygosis - and it looks good to go, now that they have ironed out the bugs in the sound system, and have done the required battle with the Sign Gestapos. 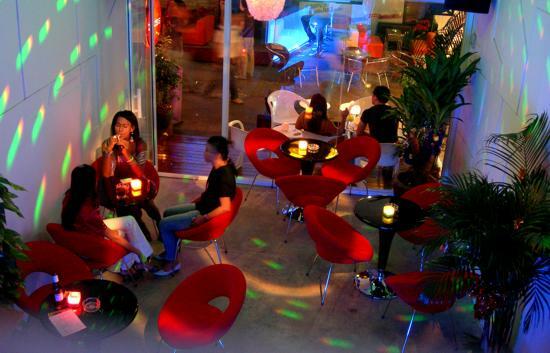 If we include a cozy rooftop garden, there are four floors of varying entertainment. Zygosis caters neither to gays nor straights, and that format seems to be paying off for them. Welcome Zygosis to the big uneasy. Still too new to be sporting any neon, the Luminous has moved it's chrome barstools and other chattel into the old Speed digs, and (softly) rolled out the red carpet. It looks like they took off running the minute they hit the ground - all tables curbside were full both times we passed by. Rock 'n roll. The Balcony has a habit of grabbing up any adjacent square footage not being used and putting out more chairs and tables. This time around, they have put out cushions instead of tables and are now assuming the unused real estate in front of the old Roxy digs. Can we blame them? The last of Bobby's properties in the Soi has gone belly up. Never having put up any neon, the Hideaway Pool Bar had none to take down. We know Bobby won't leave these properties inactive for too long - it will be interesting to see what new venue(s) will be moving in. 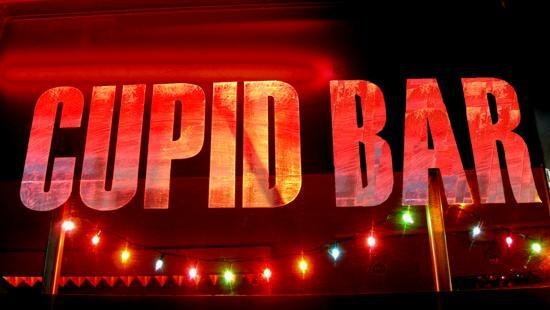 A brand new lounge, the Cupid Bar, has moved into the right half of the corner pharmacy. It has opted for the glass curtain approach - which has been gaining more favor of late. The owner has built on speculation - if anyone is interested in buying or leasing, have a wander by and ask at the next door pharmacy. In the meantime, let's welcome them to the Bangkok briar patch. The Top Secret was closed down tighter than a lid on an old peanut butter jar this last weekend. We hope this means they were away for the new year, and not that they have fallen prey to the vicissitudes. The Top Secret goes way back - even before the opening of the QPP. They were one of the originals at the now defunct Clinton Plaza. We'll check back, and give you a come-back on this next month. The J.B.O. Massage (opened a couple months back) has gone from one bed to two, and have just taken over the next door coffee shop. By the time you see this in print, they will be up to three beds, and will have added some more staff. From tiny acorns... Keep on a slippin' and a slidin'.. There is a brand new Pool Bar on the second floor just across the aisle from Junk Bar. It had it's soft opening this December, and now they are deciding on a name. The place looks great - glass curtain frontage, with both end walls solid mirrors. And there's something new in - should we say it? 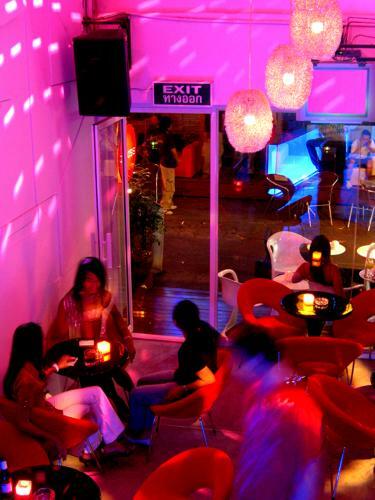 - bar stools : no more chrome-frame with padded seats, these are sculpted plastic or resin. Needs to be seen to be believed. We will get back with some more of the history - and hopefully photos - next month. 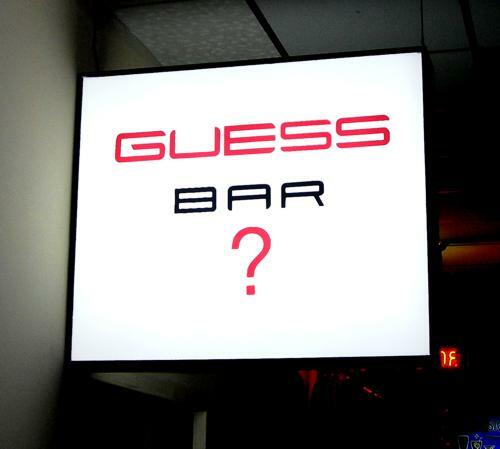 Last month we introduced the Guess Bar ? on the second floor as a Pool Bar. 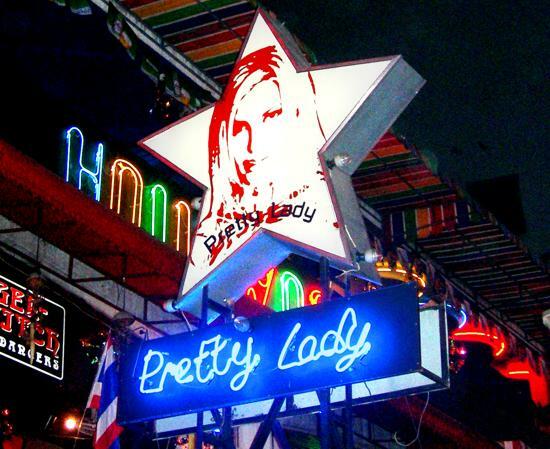 Alert reader Mardhy has pointed out that it is a "new ladyboy bar/lounge". What were we thinking? 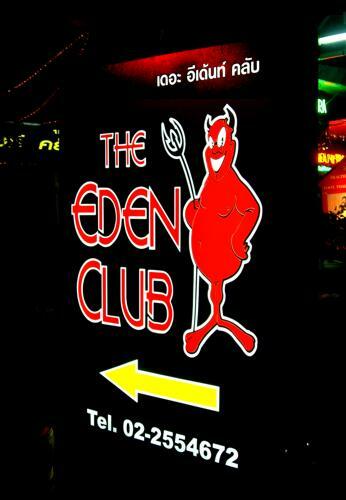 The place that started the whole thing rolling, The Eden Club, has changed it's mascot. The red devil looks suspiciously like the red devil on the Crazy Hot, two doors down...... No change in the curriculum, however. Let the good times roll. 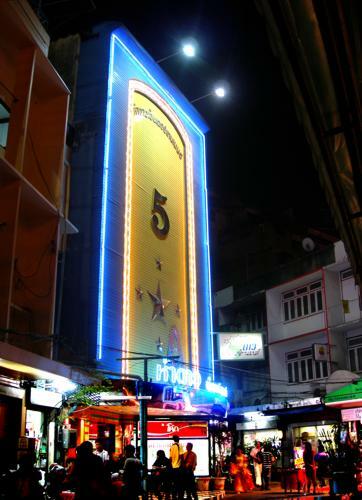 The Ha-Dao (Five Star) Entertainment is a mostly Thai night club / pub, however farang are most welcome. 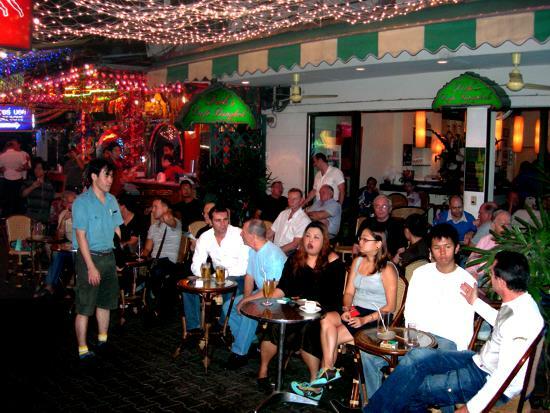 It is the only straight (non-gay) Night Entertainment Venue on the Soi. 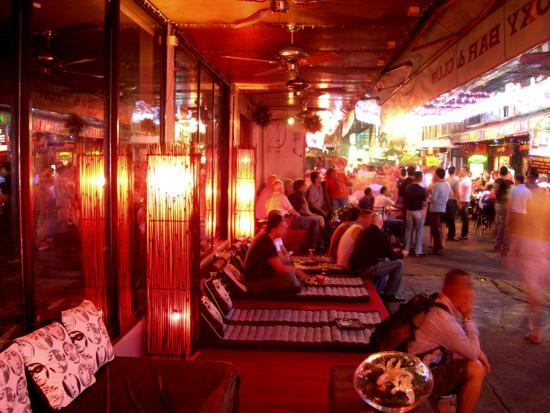 Dicks Cafe Bangkok, having taken a leaf from the Soi Katoey venues, is now providing seating out on the sidewalks and roadway, so that passers-by and customers can watch each other. Hey, it works - they were packing them in, as it were, when we passed by last weekend. As November 2006 came to a close, so commenced a strange and spontaneous and lemming-like coalescence of New York's underground - their destination : 11 Spring Street. Known to all as just "11 Spring", the dilapidated 19th Century brick monolith at that particular address was once a stable and carriage house, and had long ago fallen into disuse. But recently, the building was acquired by Caroline Cummings and Bill Elias, who announced their intention to redevelop the building into condominiums. "So, what's the big deal?" - you ask. "Why the pilgrimage?" The long-abandoned 11 Spring was not outwardly unique, attracting it's share of graffiti writers and their variegated spray-can magna opera. But for reasons which will never be made entirely clear, these serial spraypaint defacings at 11 Spring drew neither the ire of the surrounding community nor the wrath of the constabulary. 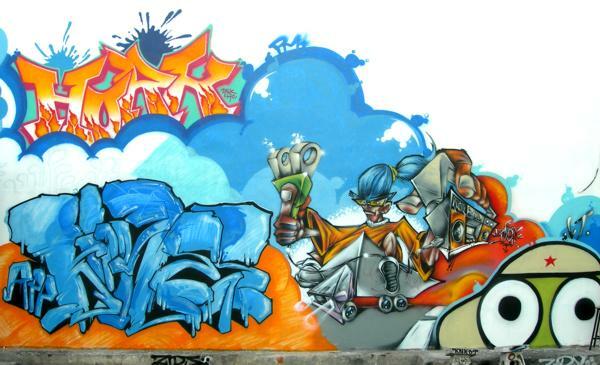 Over the last two decades, the number of artistic contributors grew: they continued to add to, and to over-paint and to elaborate. 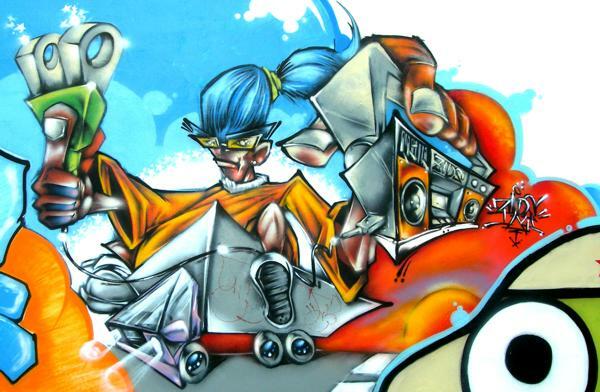 Inevitably, amongst the graffiti writers themselves, it grew in stature; it became the place to get up. 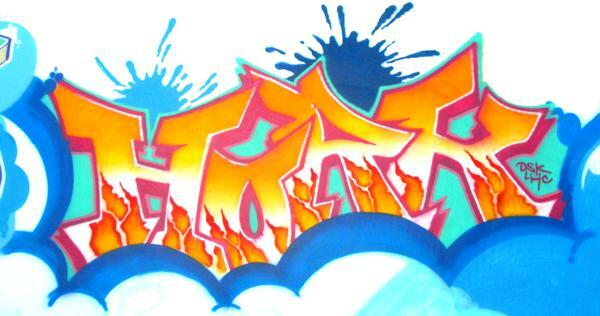 It had become, over time, a 'gallery' of graffiti, the tags reading like a who's who of graffiti writers. 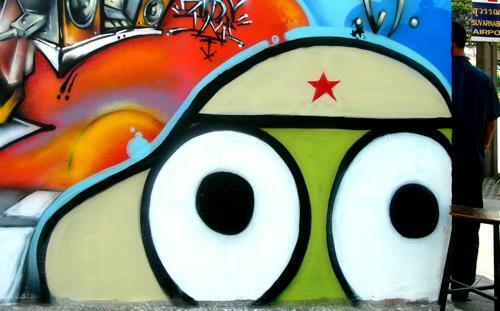 And now, suddenly, this choice ad-hoc preserve of street art was going to disappear, virtually over night. The initial wake-like procession of camera-toting devotees to 11 Spring grew from a smattering of nostalgia-bitten graffitophiles to a slow-motion deluge of New York's art community, not to mention the graffiti writers themselves, and a growing herd of appreciative onlookers. It had become, in now-archaic hippy terms, "a happening". None of which was lost on developers Cummings and Elias; they immediately saw that they had something of intrinsic value, not to mention very much out of the ordinary, right there, quite literally, in their own front yard. 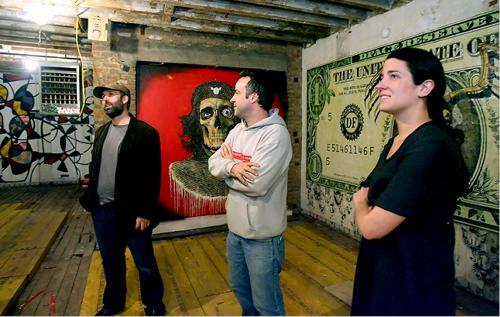 In what can only be described as an unique tribute to graffiti, they enlisted the support of Marc and Sara Schiller from arguably the top website on graffiti, the Wooster Collective, to invite graffiti artists from far and wide to come and completely cover all five floors of interior brick walls with their works. Many of the invitees were already contributors, many were new to 11 Spring. 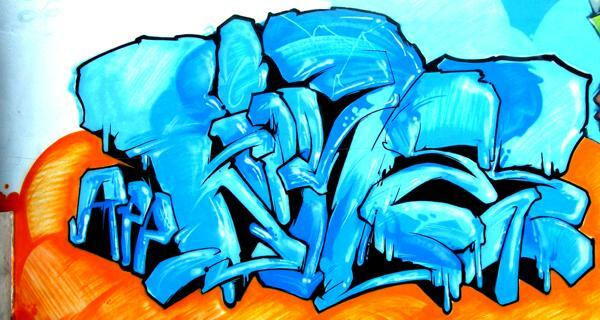 Response was immediate; contributing artists, graffiti and otherwise, flew in from such disparate points on the globe as Los Angeles, and London, and Sweden's Arctic Circle and even Madagascar. They immediately set upon 11 Spring's 30,000 square feet of brick interior. No longer "underground" the event got Media coverage in the likes of the New York Times and on CNN. 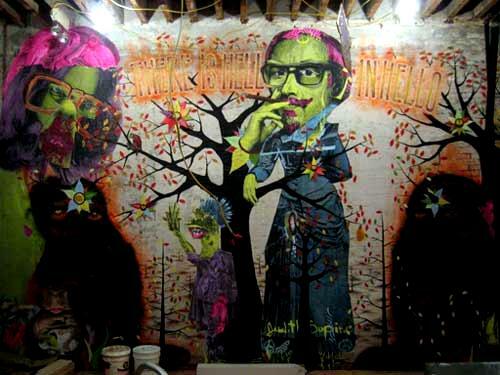 Correspondingly, the ranks of visitors to 11 Spring swelled - and a new term was coined: "Graffiti Tourism". And by mid-December, with only days to go before the dry-wall crews were to come in to cover over this gallery finally and forever, virtually every brick had become part of the tribute. Once the fog of spraypaint had settled, visitors and artists alike found themselves looking upon a startling array of the bizarre - a one-time opportunity to see a unique art display - there would be no 'encore'. Alas, the gallery and it's weird and wonderful works will no longer exist by the time you see this in print, but thanks to our ever-ubiquitous 21st Century electronic environment, it is entirely possible that the images of 11 Spring re-recorded herein and elsewhere could outlast the pyramids themselves. from whom we excerpted - and synthesized - everything. 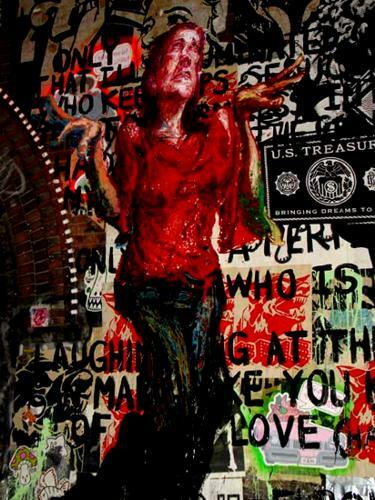 18 ft. high x 40 ft.